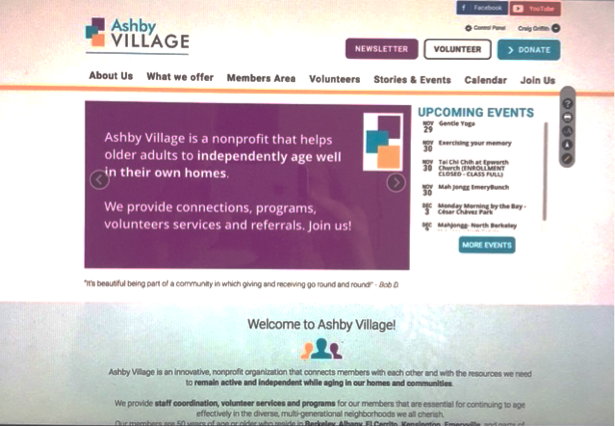 Ashby Village and UC Berkeley Retirement Center co-sponsor monthly technology support workshops on the third Tuesday of every month 10:30 am–12:00 pm. The topic on February 19 will be the AV website member components. Learn how to find another member in the online directory, set your privacy settings, identify your neighbors on the member map, etc. *ATTENDEES: IF AVAILABLE, PLEASE BRING IN YOUR LAPTOPS OR TABLETS TO WORKSHOP. NOTE: The topic for each workshop changes each month, so watch your email for announcement of next month’s topic!